Here we announce the compensation distribution of 1st APIS Masternode Early Bird. The 2nd reward snapshot will be June. 27. 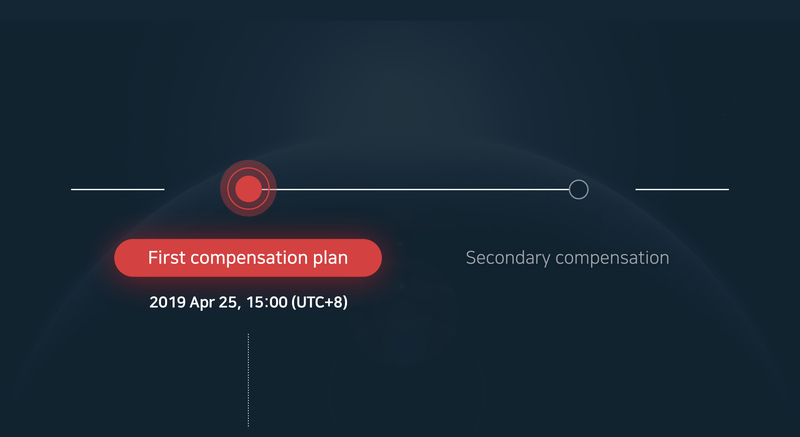 2019 13:31 (UTC+8) and the compensation will be distributed when the 2nd Masternode period (3 months) is over. The 2nd compensation distribution will follow the same order and we will announce to you about the 2nd snapshot after 2nd Masternode period is over. APIS 마스터노드 1차 얼리버드 보상 지급일을 안내 드립니다. 4. 수량 확인 방법 : APIS Platform 접속 → BALANCE 또는 HISTORY → Deposit / Withdrawal에서 확인 가능합니다. 2차 보상 스냅샷 시점은 2019년 6월 27일 13:31(UTC+8)이며, 지급은 2차 마스터노드 기간(3개월) 종료 후 지급될 예정입니다. 2차 보상안도 1차와 동일한 방법으로 진행될 것이며 2차 스냅샷 시점은 2차 마스터노드 종료 후 공지를 통해 자세히 말씀드리겠습니다.